It is a special and interesting experience everywhere I go, talking to older people and especially old ladies. It happened in every country on this trip through Asia. The script is similar every time. You meet, smile, greet each other according to local standards and then they start talking. Most of them in their local dialect. Even when I was able to speak some Indonesian, the older people all spoke in local dialects which sounded in no way familiar to my carefully trained ear. They seem to take no notice of the fact that you don’t understand any of the words they speak. This morning a Thai lady came over to me. I was camping on a little stretch of grass between the bungalows in a resort. When it started raining it was a struggle and a race to grab all my bags, tent, helmet, jacket, boots etc etc. I managed to manoeuvre it into the relative safety of a hut with a palm leaf roof before the biggest drops came down. As I was waiting out the wet amidst my belongings under the roof, a 1 meter and 40 centimetres tall figure made her way towards me. Hiding half of her stature under a massive umbrella she shuffled through the wall of water. When she arrived at my hide out she started her story. Not a word I could understand. But it was crystal clear she was inviting me and my stuff to the common area to be in a safer and dryer place. Not too long ago I stayed with a friend and his girlfriend. 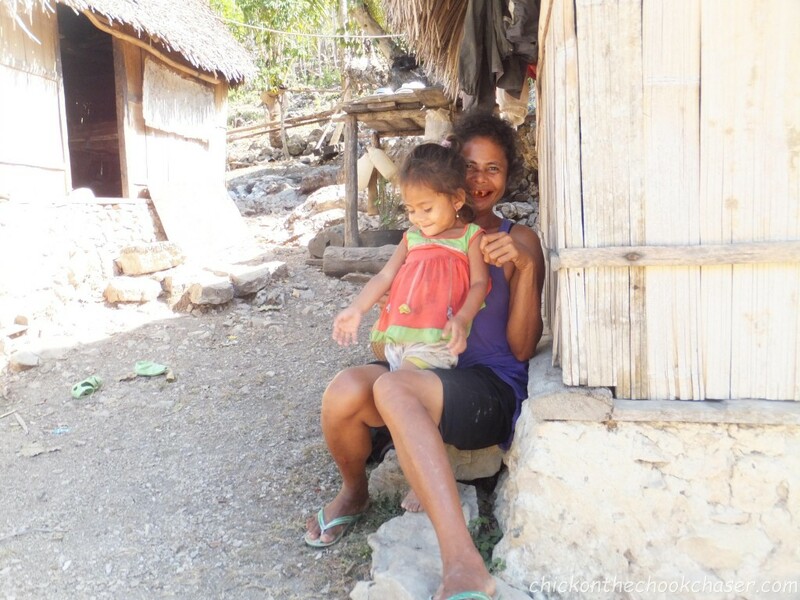 Her mother owned the house and lived on the ground floor, while they lived upstairs. Before my stay could be confirmed I had to be introduced and approved by Mama. After I greeted her with the typical Thai hand gesture she started babbling away when she noticed my motorbike. Lots of “oohhh” and pointing and her biceps were included in her story. I said the words Australia and The Netherlands and then her jaw really dropped. Later that day I offered to share some of my peanuts with her and she shared some of her fruit with me. We had entire conversations about the fruit and the trees, the chickens and other animals around without understanding a word that left our mouths. When I left their house she let me know to be careful and have a safe trip. 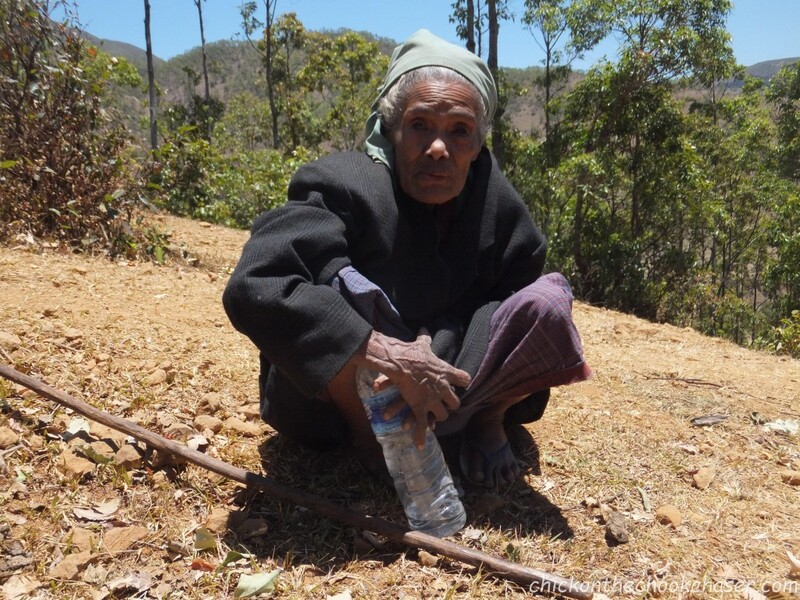 In East Timor, while camping in a rural mountainous area with a friend we were approached by an old lady. She was walking around, collecting wood. When she spotted us she made her way over and just sat there and watched us packing up our tent. It is quite possible she’d never seen a tent before actually. She didn’t say anything. Just sat and watched. We gave her some of our water and simply sat with her. It seemed like she was just curious and looking for some company and entertainment, we smiled at one another and drank the water. 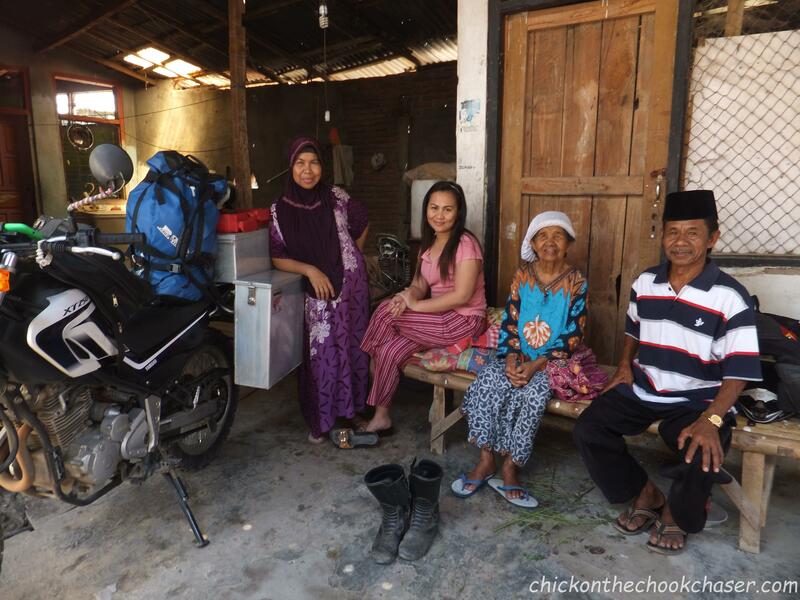 Multiple times in Indonesia old ladies would approach me, they would let me know to sit down. Spoiled me with drinks and food and most importantly communicated to be careful and safe on the road. Now it’s not impossible that some of the meaning I attach to their words and gestures isn’t exactly what they meant to communicate, but old ladies have a special way to get their message across. The meaning of the words they speak is communicated through their hand gestures, body poses, smiles, facial expressions, intonations and sometimes firm grips on my wrist. They seem to speak a universal language of motherly love. They understand you and you understand them. The words chance from country to country, district to district, but their message is understood regardless of the words. It is said that only 7% of our communication relies on the actual words we speak. From my experience this number is closer to 1% for old ladies, as their universal language of motherly love makes words redundant. You’re a champion! This piece is a gem made of words.